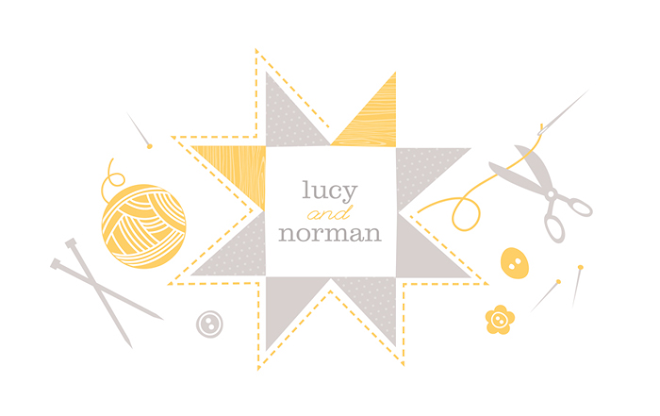 Lucy & Norman: sometimes I forget to blog. sometimes I forget to blog. Well, it would seem that I forget to blog almost all of the time lately. Sorry for that. I love this space and sharing with you all, but I guess these little people are keeping me so busy that this is taking a backseat for now. Thanks for still popping in to see what I've been up to. So what have I been up to? I've been squeezing in sewing when it feels right. Besides working on a quilt for Lucia's new big-girl bed, which I'll share soon, I finished this Summersville Strings quilt top. Wow, string quilts are a ton of work, and frankly this one burnt me out for awhile, but I love all the juicy, summer-y colors in this one and I promise to baste and quilt soon so I can share the whole thing! More details on my Ravelry page, here. And yesterday I just finished blocking my new and most favorite knit yet, Raiun. It's the perfect basic little cardi in a lovely neutral color. It seemed to take forever, but well worth it I think. I hope you all are enjoying your summer! I'll see you soon(ish), hopefully with my completed Scrap Hoover to show off! love all that you're working on but especially looking forward to seeing that DS spiderweb in it's finished greatness!! it sounds to me like you have your priorities in proper order. enjoy your time with your littles!! That summersville quilt looks so zingy. I always love to see your knitting! Can't wait to see the Summerville quilt. I have just purchased a charm pack and am looking for inspiration! Like Waverlee, I too am looking forward to seeing the Summerville quilt. I purchased the fabrics approx 4 months ago and have been waiting for the right pattern to come along - maybe it's yours. Your knitting always amazes and inspires me. I hope with being so busy with yur girls that it means you are having too much fun to stop and blog. Little ones are so wonderful and unfortunetly, they are only little for a short time. Enjoy. Such lovely things! I adore the Summersville string quilt, and the rainbow spiderwebs, too! Both knits are fabulous! I need to knit myself a good neutral basic sweater soon! Love the new cardi-great details! I recently finished my Sedum in a natural color and love having the neutral go-to as well, it goes with everything and will get tons of wear. And who doesn't love a rainbow quilt?